Do you love ice cream as much as we do? If you can’t go a day, a week, or even a month without the delicious flavors of ice cream, then we know how you feel. While you may be a pro at eating ice cream, did you know that there are some really interesting facts about ice cream? We have found some cool tidbits about ice cream that you may not have heard before. If you want to impress your friends and family with your knowledge about this infamous sweet treat, take a look at some of the fun facts below! The country that consumes the most ice cream is USA, followed by Australia then Norway. Now that you know some interesting tidbits about ice cream, you can share with your friends at your next get together. Whether you’re having an ice cream social, a sports game, a movie night, a dinner party, or otherwise, complete your afternoon or evening with the delicious flavors of Mochi Ice Cream. The best way to each ice cream is different for each individual. Mochi is all about finding your favorite way to eat it. Whether you like eating a Mochi whole, cutting it in half, or otherwise, you can experiment, mix flavors, and have a fun time finding your favorite way to eat Mochi. Well, if you haven’t tried Mochi Ice Cream yet, it is definitely worth it. Mochi gives the classic flavors of ice cream a fun twist. With rice flour dough encasing the ice cream, it makes a single serving ice cream ball that you can hold and easily eat anywhere, anytime. It’s chewy outer dough slowly melts in your mouth along with the delicious ice cream. 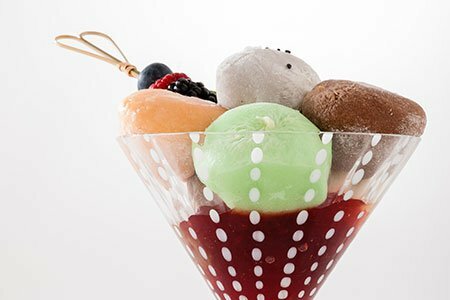 While ice cream has been around for many centuries, Mochi Ice Cream is a fairly newer creation that adds a bundle of fun and excitement to the whole ice cream eating experience. With the wide variety of flavors, they are perfect for matching any occasion or mood.